How to share brand news with a large alumni and employees community? The professional services firm, Deloitte, has the largest global network of employees in its sector. 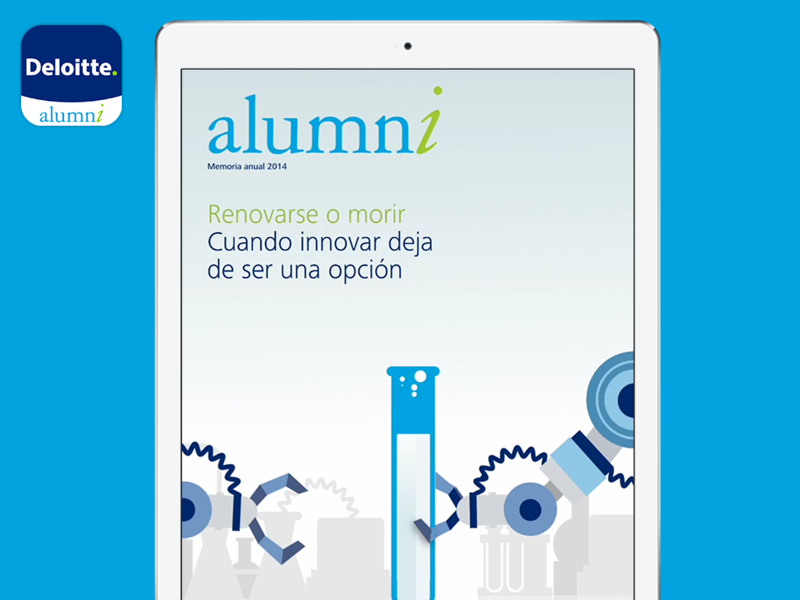 In Spain, the alumni network of Deloitte currently stands at approximately 5,000 members. 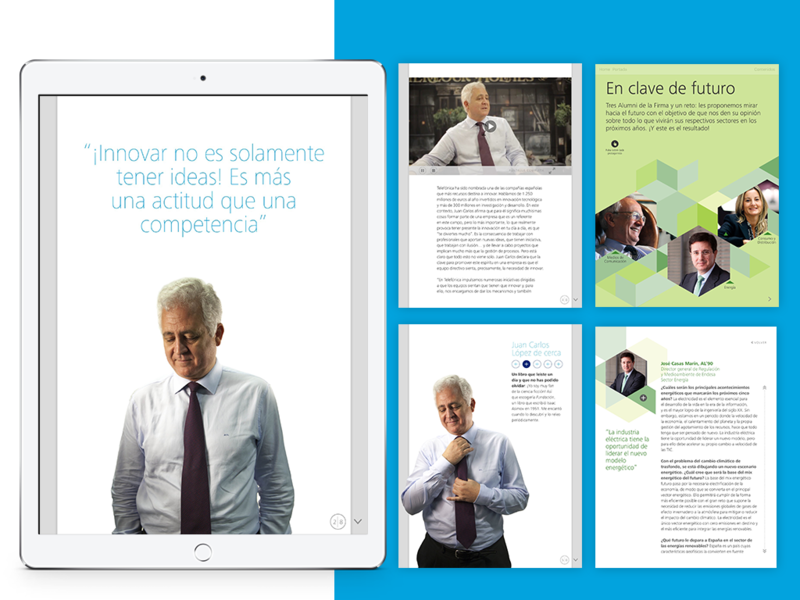 The Marketing and Communications for Deloitte Spain decided to publish their existing annual print magazine as a digital application to make the most of what tablets can offer: easy access and interactive content. Thanks to Aquafadas’ plugin for InDesign and its 40+ enrichments, they designed a unique digital publication enriched with a high level of custom design and interactivity. Upon opening the application, readers are greeted with an animated first page that entices them to discover pop up images and texts, interactive 360° animated images, and other dynamic content.